A leopard which had strayed into a house located near Ganeshthan temple of Kuleshwar, Kathmandu on June 1, 2016 jumps after people make noise. Rapid urbanization on the outskirts of the Valley has harmed the core habitat of leopards and lack of prey in their habitat is another reason that makes them enter the cities in search of food. KATHMANDU, Feb 9: A leopard was spotted in Paga, a residential area of Kirtipur, early on Wednesday morning. The wild cat, obviously terrified, had barged into a house of one of the locals to hide from humans. As soon as the news circulated in the locality, a huge number of people gathered around the area to observe the leopard. Everyone from children, youths to elderly people gathered around the house of Shree Krishna Shrestha, where the leopard was hiding. The fear and excitement were clearly noticeable on the faces of the keen onlookers. Although the leopard was spotted at 6 am in the morning, a team of police and members of the Central Zoo and District Forest Office reached the incident site only after three hours, according to the locals. It had reportedly entered the house on Tuesday night. The team then readied themselves to control the leopard with tranquilizer. However, the leopard continued to stay in hiding for seven hours. The patience finally paid off at 1 pm in the afternoon as the leopard was taken under control without any harm either to the people or itself. It was then taken away and later freed into its habitat. The incident had created chaos among the locals. 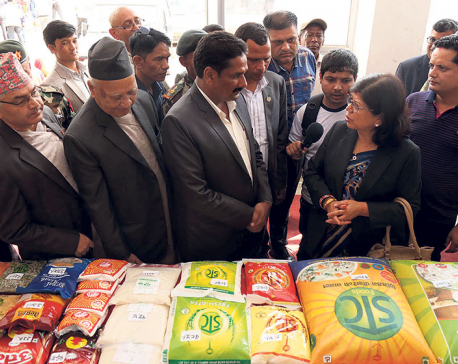 However, this incident is not the first of its kind in Kathmandu Valley. Leopards have been entering human settlements of the Valley frequently of late. 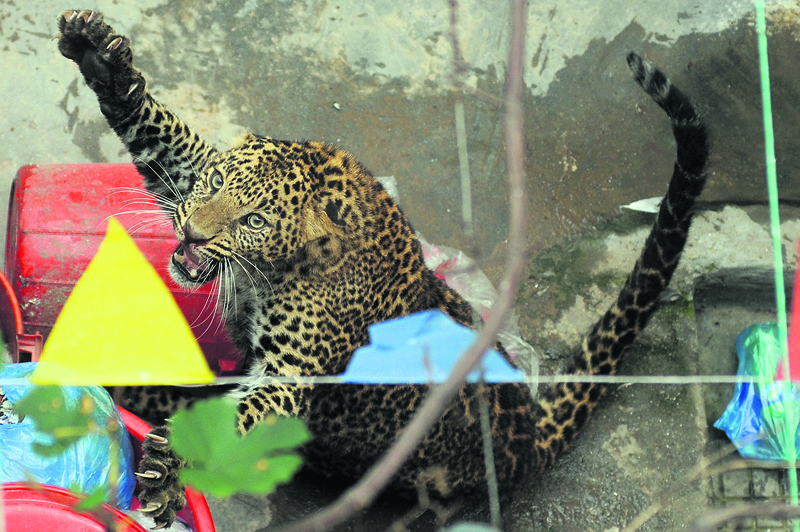 Last year on September 24, a leopard had entered Lubhu of Lalitpur and barged inside a house of a local. Likewise, a leopard strayed into a house near Ganesthan Temple of Kuleshwar on June 1, while a similar incident was noted on January 9 last year in New Baneshwar, the heart of the capital. Many of such incidents also go unreported. “Leopards enter human settlements for various reasons, mostly in search of its prey,” explained Laxman Paudel, ecologist at the Department of National Parks and Wildlife Conservation (DNPWC). According to DNPWC, forest areas surrounding the valley have increased and even the number of leopards also may have increased. However, their preys have not increased accordingly, causing leopards to frequently visit human settlements in search of their prey. As increase in number of leopards entering human settlements put life of humans and wildlife at risk, experts have stressed on the need to study leopards' behavior and pay attention to the number of their prey. They also suggested that the number of stray dogs in the valley should be checked to minimize such incidents. According to DNPWC, habitats of leopards around the Valley include forests of Shivapuri, Budhanilkantha, Godavari, Tokha, among others. The department has urged the public not to make noise to ensure that leopards do not get scared and aggressive during such incidents. They also requested the public to inform nearby police post at the earliest in case of such incidents.